You are here: Home > Automotive > Shanghai CARBOD Automative Technology Co., Ltd.
Shanghai TOPOLO New Materials is one part of Shanghai CARBOD Automative Technology Co., Ltd., which is focusing on lean engineering and supplying lightweight solutions. Shanghai TOPOLO New Materials is a professional manufacturer of continuous fiber reinforced thermoplastic composites (CFRT) materials in automobiles and transportation tools. 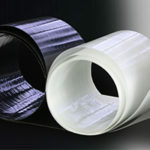 TOPOLO commits to the research, generalizing and application in new materials, such as CFRT UD-Tapes, thermoplastic composite sheets, continuous fiber reinforced composites, thermoplastic sandwich panels, honeycomb sandwich panels, DCPDC, ect..